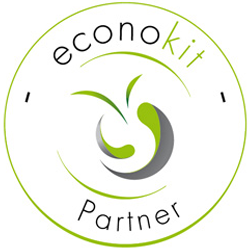 Econokit is distributed throughout the world through a certified partners’ network. The resellers and the exclusive distributors. To continue our growth worldwide we are looking for motivated and committed partners to bring to their country this fuel saving and environmental solution. Our goal is that together we can increase Econokit development in a loyal, honest way, and beneficial for us all. Become a reseller and benefit from preferential prices (Resellers prices), after having received training on Econokit’s functioning and with a minimum order of a box. This way, you can make a profit, applying your own pricing policy, as well as your own added value. As a reseller, you don’t have a fee, or annual sales objectives. You can buy directly from us until there is an exclusive distributor on the same territory. As soon as there is an exclusive distributor in your country, the entire merchandize flow will pass through him. You will therefore be able to distribute at your own place, on the territories that don’t have an exclusive distributor. If you wish to have the exclusivity in a country, don’t hesitate to become an exclusive distributor. You will be the only one in your country. To get these advantages, you will acquire an exclusive license which allows you to sale Econokit products on your territory. 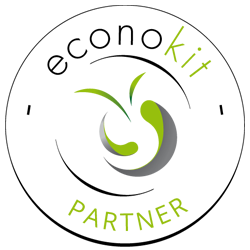 This license authorizes you to manage the brand Econokit in your country. The distributors have annual sales objectives. Your engagement involves the respect of Econokit’s graphic chart, given to you upon the signature of the contract. To help you develop your resellers’ network in your country and increase your sales volume each year, you will benefit from preferential prices (Distributors prices). Each distributor will be given a username that will allow him to access important sales’ tools. In the two cases, as ambassadors of our brand, resellers and exclusive distributors can count on our help and technical support necessary to develop sales on their territory.